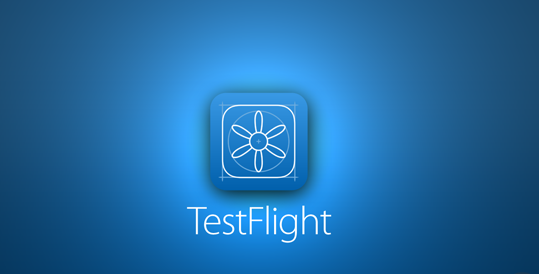 Testflight used to be the go to software to test mobile apps, but since it dropped Android doubling down on iOS, its left developers to find alternatives. If you’re running a mobile development agency wondering what alternatives are available, look no further. Generally speaking the best alternatives in today’s market should offer support for continuous deployment, mobile version support (gives you the ability to install new versions), support for distribution list permissioning and support for individual permissions for testers. Today we’re exploring the top 5 Testflight alternatives when developing apps for Android. If you’re an agency developing Android apps, TestFairy offers a tonne of great features (and there’s a free version). Firstly, you’ll get heaps of data sent to your own dashboard directly from the app. This gives you the ability to analyse hardware performance in terms of CPU usage, network bandwidth consumption, phone signal and battery performance. This is great because it gives you the ability to optimize your app across a wide range of different device types and maintain control over over your project. On the whole, TestFairy has a slick and intuitive UI/UX when compared to some of its competitors and provides you with real-time analytics at the touch of a button (it also supports apps that use the Testflight SDK). How much does TestFairy cost? TestFairy is free for individual users but if you’re looking for heavyweight agency-centric features it’ll cost you around $500 per month. Does TestFairy offer individual permissions for testers? Yes. You can use TestFairy to choose which users you invite to test your app. Does TestFairy offer distribution list permissioning? Yes. TestFairy offers the ability to create groups for your app users. You simply provide the group name in the TESTER_GROUPS variable via the deploy script. Once you’ve provided the right information, TestFairy pings an email to the users within each of your groups with a link providing each user access to test your app. Does TestFairy offer a mobile version? Unfortunately, at the moment, TestFairy don’t support a mobile version of the platform. But after some digging around on the website it appears that TestFairy do intend to provide full support for a native app which is due to be launched imminently. Does TestFairy provide continuous deployment? Yes. TestFairy’s Upload API enables you to upload apps automatically, directly from your build server. The Google Play Developer Console will enable you to beta test your Android app amongst specific test groups. The console also enables Android developers to open up your test to existing Google Play store app users. Before you begin your testing process, users will need a registered gmail account or a Google Apps account in order to participate. It’s worth noting that if you decide to make any alterations to your app’s pricing and distribution page, it will impact your app’s current and future production and also your alpha and beta versions of the app. Google also recommends that you publish either an alpha or a beta app before you launch a production APK. Once you’ve published your alpha/beta APK for the first time, it may take a few hours before a link is available to so your designated test group can try out your app. If you then deploy additional changes, it can be several hours before a link is made available for testers, so it’s best to do as much testing as possible prior to your initial deployment. The reality is that Google understands better than anyone that a hassle free testing process means better apps for Android users, so it’s in their best interests to make the testing process as seamless and intuitive as possible. However, the testing mechanism is not without it’s drawbacks and misses some of the features that other Android testing platforms will offer. How much does Playstore cost? You can pay a $25 registration fee through Google payments. Alternatively, if you don’t have a Google payments account, you can easily create one during the process. Does Playstore offer individual permissions for testers? Does Playstore offer distribution list permissioning? Yes. You can create a group using Google Groups or create a new community via Google + and add the associated email or URL. Does Playstore provide continuous deployment? Apphance was acquired by UTest back in 2012 and provides Android developers with a powerful mobile testing toolkit that works across most of the major platforms. Using Apphance, tasks that previously required a range of different tools can now be performed under one roof. Apphance provides great testing features but is also equipped to enhance your pre-production development work, making it a great choice for mobile agencies seeking an end-to-end solution. Apphance provides a range of features including over-the-air app distribution, crash reporting, in-app bug reporting and user feedback. All in all this makes Apphance a quality platform for mobile agencies seeking to design, develop, test and deploy Android apps. The Apphance platform will enable you to distribute app builds to testers, report bugs and crashes once the app is live and gain insightful feedback from app users. If you’re a mobile agency looking for a simple and intuitive Android testing toolkit that’s easy to use and get started with, Apphance could be a great fit. How much does Apphance cost? Apphance offers an entry level pricing model that’s free for one Android app and a maximum of 50 app testers. If you’re interested in learning more about the agency grade features that Apphance has to offer, you can contact them directly. Does Apphance offer individual permissions for testers? If you’re using the free version of Apphance to get started you simply select up to 50 testers and each tester will receive an email with an associated link to download the .APK. Does Apphance offer distribution list permissioning? Does Apphance offer a mobile version? Does Apphance provide continuous deployment? Yes it does. Apphance offers a feature called Apphance Flow that acts as a build automation tool that can operate across Android and other mobile platforms. HockeyApp is an awesome app testing platform platform providing a variety of features from distribution to analytics and live crash reports. Basically, if you’re an agency looking for an all-in-one toolkit for all of your Android testing requirements, HockeyApp could be a great fit. Unlike Testflight, there is no approval process or need for review prior to deploying your Android app. One of the coolest things about HockeyApp is the fact that you can upload new versions of your Android app whilst controlling access to older versions. One of the only drawbacks (much like Apphance) is the fact that you’re test runs are limited up to a maximum of 100 testers. Having said that, depending upon your app project, it might be unlikely that you’ll require more than 100 testers. HockeyApp works seamlessly across multiple platforms and can be used to overview all of your test coverage data, the performance of each Android app build. HockeyApp will also provide insightful usage data including performance by device type and provide specific measures of what, where and how long each tester spent using different features within your Android app. Overall, HockeyApp offers good value for money in terms of features and functionality. The only major drawback being that the HockeyApp UI/UX can be quite confusing at first and requires some getting used to. How much does HockeyApp cost? HockeyApp offers 5 basic pricing models including a tiered band for small, medium and large businesses. There are also pricing plans available for XL and XXL businesses and additional pricing information is available if these aren’t enough. The small business package starts at $30 per month and offers support for 15 apps and 3 owners. The XXL model costs $500 per month and provides support for 500 apps and 100 owners. You can get more information on the HockeyApp pricing policy here. Does HockeyApp offer individual permissions for testers? Nope. This is an unfortunate drawback in a product that’s otherwise very well equipped. Does HockeyApp offer distribution list permissioning? Yes. HockeyApp enables agencies developing Android apps to create tags and select users. This can be performed by typing the list name in the tags API parameter. Does HockeyApp offer a mobile version? Yes. HockeyApp does offer a mobile version. Awesome right? Does HockeyApp provide continuous deployment? Yes, absolutely, new versions can be deployed via API Upload and the Jenkins Plugin. Appaloosa offers a simple and efficient way to privately deploy and test Android app development projects. The platform provides a neat UI and the web based interface gives agencies control of the apps they want to deploy, the key testers who need to be invited and real-time access to post-deployment data and analytics. As an agency, Appaloosa gives you the ability to create and customize your own native app store with custom names, colours and icons. The native app is capable of hosting all of your app projects and provides push notifications each time an app is updated. The Appaloosa platform offers a range of features including mobile app management (MAM), analytics, access control and the ability to connect to your own user directory such as Active Directory or LDAP (perfect for working with enterprise customers). The free plan works great in order to get you up and running quickly with the software. The free version provides support for one app and five users and gives you the ability to upgrade at any time. Whilst the overall UX can seem a little daunting at first, Appaloosa is relatively easy to get started with and offers good value for money in terms of features and functionality. How much does Appaloosa cost? In addition to the free version of Appaloosa, there is a ‘Plus’ version and an ‘Enterprise’ version that;s well equipped for agencies developing apps for large customers. The Plus version of Appaloosa clocks in at $20 per month and offers support for 5 apps and 20 users (it also offers a burstable limit whereby you’ll pay an extra 0.99¢ per additional user per month). The Enterprise version costs $199 per month and provides unlimited apps and versions. The Enterprise version includes support for 100 users (1.99¢ per user, per month for each additional user)and provides native app store functionality for Android, iOS and Windows. The Appaloosa Enterprise package also offers prioritized support services and an SDK for analytics and app security. Does Appaloosa offer individual permissions for testers? Does Appaloosa offer distribution list permissioning? Yes. Appaloosa provides the ability to create groups, connect testers to individual groups and dictate which groups will have permissions to test the app. Does Appaloosa offer a mobile version? Does Appaloosa provide continuous deployment? Yes, new versions can be deployed via Jenkins Plugin. In conclusion, when it comes to testing apps for Android, particularly if you’re looking for a simple alternative Testflight, unfortunately there is no silver bullet or magic solution. When selecting an Android app testing toolkit that works for your mobile agency, selecting the right platform will depend upon the requirements of each of your app customers. In reality you should be able to select a testing platform that works for each of your app agency customers, even if they range in size from startups and entrepreneurs all the way up to Fortune 500 companies. The best way to select the appropriate Android testing toolkit is to trial each one (if possible) on the free tier and assess each according to the general look and feel of the UI, the overall UX, ease of integration and all of the other features we’ve listed above. So there you have it. If you’re a mobile agency looking for suitable Testflight alternatives for Android, hopefully you’ll be equipped with the information you need to make the right choice. OK, so we’ve given you a bunch of questions to ask your client, but what about when you have questions about your mobile app business? No worries – we’re here to help. That’s why we’ve started a FREE business webinar series. The webinars are intended for Business Owners, CEO’s, Sales & Marketing VP’s and Commercially minded CTO’s. They’re 100% business focused, so they’ll give you ideas on how to drive more retainer based income for your Mobile App Development Business. Kumulos is the most comprehensive mobile app management platform for mobile app agencies with Push Notifications, App Store Optimization, App Analytics, Crash Reporting & Diagnostics, Document Sharing & Collaboration, Content Editing, all in one place. But that’s not all. It comes with a number of unique, turn-key features, custom built to help busy mobile app agencies offer awesome services to their client. Services that help keep the dialogue flowing, so they stay close and win regular follow up client work. And the best bit, services that the agency charges monthly for, so they get more app projects on monthly retainer, once the app goes live. Ask for a demo today or sign up for a 30-day free trial.